With our SIA Property & Casualty Insurance System, we take a proactive approach to business insurance. It starts with a complete risk management analysis to fully identify the risks facing your company. It is essential to work towards maximizing your insurance coverage and minimizing your risk exposures upfront. That is why we focus on developing a thorough understanding of your business’s risk profile, concerns, values, and goals, and work closely with you to design a well-rounded, cost-effective program that covers you from all angles. Property related risks are not just limited to physical structures – they extend to business interruption issues, disruptions in supply chain, and cyber breaches. For effective risk management, businesses should look beyond property insurance to evaluate possibilities of a potential threat. Our property insurance experts work with you to pinpoint different property risk exposures. 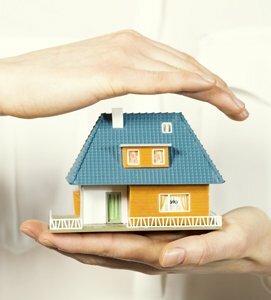 Based on the analysis, they formulate a property insurance solution that enables you to transfer, mitigate, or avoid the risk altogether. Using this holistic approach, we allow you to predict costs related to property risk management and implement a program that enhances protection, minimize total costs, and effectively meets your specific needs. In today’s increasingly litigious landscape with skyrocketing workers’ compensation costs and larger punitive awards, it has become imperative for businesses to have a sustainable, long-term casualty insurance plan in place that provides protection from unforeseeable events. SIA Insurance Group proactively works to reduce all casualty-related elements that contribute to your total cost of risk. We assess each component of your business and factor in your risk-related expenses, recognize opportunities for cost reduction, and streamline your casualty insurance plan to achieve better results. Our team is comprised of experts in property & casualty insurance, who bring their decades of experience to the table and act as your advocates. With SIA Insurance Group, we will use our analytical tools and industry specific knowledge to assist you in strategically allocating resources, reducing costs, and determining appropriate limits and retentions. Therefore, you can expect to have less volatility in insurance rates. For all businesses, effectively managing all risks through a customized insurance program can result in lowered operating costs, higher profits, and increased capital that can help your company grow. If you are seeking a proactive approach to your business insurance that is cost-effective, please call us today at (630) 325-4000 to schedule a time to complete your risk management analysis.